When it was first published, in 1897, Dracula was not an immediate bestseller, although reviewers were unstinting in their praise. The contemporary Daily Mail ranked Stoker's powers above those of Mary Shelley and Edgar Allan Poe as well as Emily Bronte's Wuthering Heights. According to literary historians Nina Auerbach and David J. Skal in the Norton Critical Edition, the novel has become more significant for modern readers than it was for contemporary Victorian readers, most of whom enjoyed it just as a good adventure story; it only reached its broad iconic legendary classic status later in the 20th century when the movie versions appeared. It did not make much money for Stoker; the last year of his life he was so poor that he had to petition for a compassionate grant from the Royal Literary Fund, and in 1913 his widow was forced to sell his notes and outlines of the novel at a Sotheby's auction, where they were purchased for a little over 2 pounds. But when W. Murnau's unauthorized adaptation of the story in the form of Nosferatu was released in theatres in 1922, Stoker's widow took affaire, and during the legal battle that followed, the novel's popularity started to grow. Nosferatu was followed by a highly successful stage adaptation, touring the UK for three years before arriving in the US where Stoker's creation caught Hollywood's attention, and after the American 1931 movie version was released, the book has never been out of print. However, some Victorian fans were ahead of the time, describing it as "the sensation of the season" and "the most blood-curdling novel of the paralysed century." Sherlock Holmes author Sir Arthur Conan Doyle wrote to Stoker in a letter, "I write to tell you how very much I have enjoyed reading Dracula. I think it is the very best story of diablerie which I have read for many years." 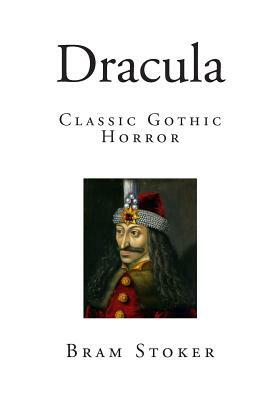 The Daily Mail review of 1 June 1897 proclaimed it a classic of Gothic horror, "In seeking a parallel to this weird, powerful, and horrorful story our mind reverts to such tales as The Mysteries of Udolpho, Frankenstein, The Fall of the House of Usher ... but Dracula is even more appalling in its gloomy fascination than any one of these."